Sometimes I think Everton do this on purpose. A moment of pure madness can normally be resolved by bouncing back in the next game, but of course we had to stew didn’t we. The end of the transfer window and the international break has allowed the fuming to build up, and this pressure cooker is going to cause serious damage either to us or our opponents. This could get interesting. I’m not going to waste too much of your time talking about the Chelsea game. Let’s call a spade a spade; our defence has been abysmal so far. If you want to read much more on that I did this piece about a week back, and it still applies. There’s no terminal problem. Look at the Chelsea defence. Jose Mourinho was distraught at his side conceding three goals, and they may not concede three in a game again this season. These things iron themselves out. If the defence still isn’t doing their job right in a month’s time, then there’s a serious problem. Our attack has been a major positive though; most seasons start with frustration over not getting the goals, but seven in three is a good record. Steven Naismith is utterly lethal right now, Lukaku and Eto’o will score plenty of goals between them, and players all over the pitch are contributing. Not many sides have such a goal threat from their full backs. It’s a long chalk from celebrating Joleon Lescott outscoring half the attacking line. Speaking of Lescott, the dome-headed defender is amongst the West Brom side that welcomes us to the Hawthorns this weekend. It’s a dull corner of the city of Birmingham over there. They lacked imagination so they’ve nabbed some of ours. Our former assistant manager and Father Ted star Alan Irvine took the reigns this summer, Lescott and Victor Anichebe are in the squad and all of a sudden they’re singing Allez Allez Allez Oh. But then again half the chants nowadays are taken from some other club. When you leave fans to their own devices monstrosities are created. 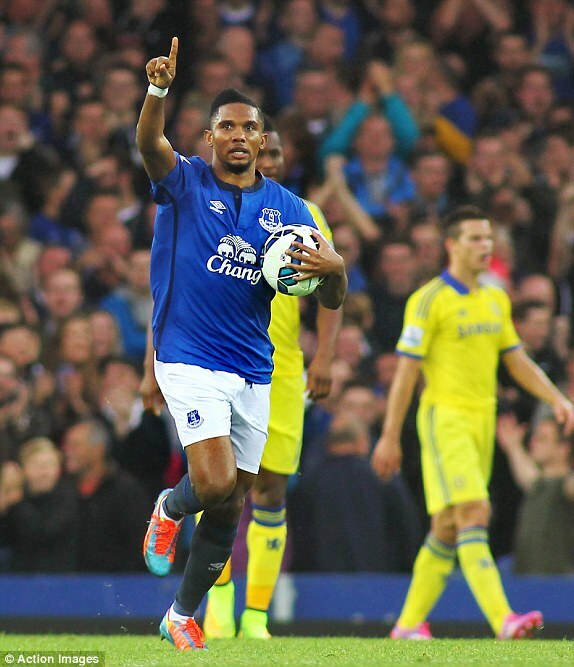 Someone created one that was a take on Mambo Number 5 for Samuel Eto’o that would make Lou Bega spin in his grave. Is he dead? If not it would’ve killed him. West Brom fans have something similar with that ‘Boing Boing’ nonsense, although that’s wildly popular, which makes you wonder if lead paint is still a big thing in that region. Nevertheless every West Brom fan I’ve ever talked to has been a decent, grounded person. None of the Birmingham clubs have any sort of impact at the top of English football nowadays, and they don’t care. They’re enjoying being Premier League regulars, and quite rightly. If you believed the pure mass of blogs and fanzine polls that came out at the start of the season, West Brom’s top tier status is under serious doubt. The board has taken a major gamble this summer. Alan Irvine did relatively well in spells at Preston and Sheffield Wednesday, considering that the latter was on the verge of going bust at the time, and is still a well liked figure at Everton as a former player and coach. However, he’s new to Premier League management, and a lot of his signings are new to Premier League football as well. 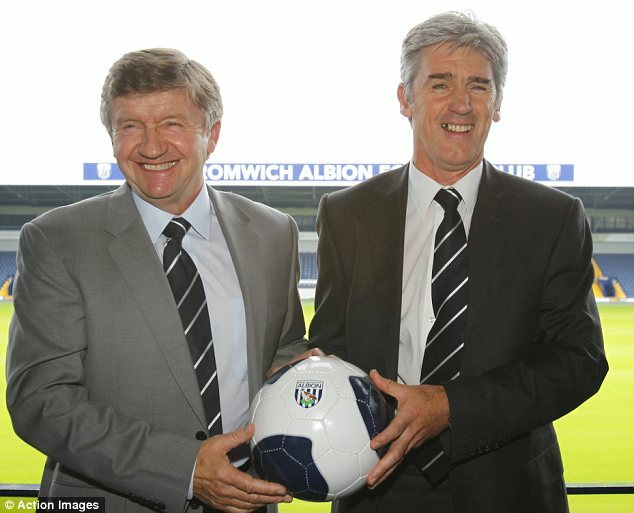 The Baggies cashed in on World Cup fever, signing Portugal’s Silvestre Varela, Greece’s Georgios Samaras and Costa Rica’s Cristian Gamboa join Sebastien Pocognoli, Sebastian Blanco and record signing Brown Ideye as imports, with only Samaras having played Premier League football before. Samaras, Kevin Doyle and Andy Johnson back in the Premier League. Oh, the nostalgia. These are considerable gambles. With the quality of their signings, which also include Craig Gardner, Chris Baird and Andre Wisdom, it could lead to a top half finish with the league being so open. On the other hand, it could all lead to their relegation. They’re struggling right now on just two points from their first three games, and a minus three goal difference. How shite must they be, eh…. Er…anyway. After draws with Sunderland and Southampton came a limp defeat to Swansea, and they’ll be looking to kick off their season positively at home. Ben Foster single-handedly denied us points last season and will be in goal, barring a thumb injury. The defence against Swansea consisted of Wisdom, Dawson, Olsson and new Australian signing Davidson, but it could be entirely different with Lescott, Gamboa, Baird and McAuley waiting in the wings. Brunt, Mulumbu, Gardner and Dorrans make up a pretty solid midfield, while Ideye and Berahino are likely to be up front. If Mulumbu fails late tests, or Anichebe and Pocognoli recover in time, it could be entirely different. I’m not a West Brom expert. Simply put it’s a question mark. Their unpredictability could confuse us but they could just confuse themselves. So, now I’ve reassured you by knowing very little about what’s going to happen, here’s the Everton team. Tim Howard was blasted in a recent newspaper article I won’t share because it’s mostly shite, but we know what he does well and not so well. Howard has outstanding reflexes and makes some spectacular saves, but doesn’t command his penalty area. For the Chelsea goals Howard looked like he was doing his best to fold himself in half. That being said there’s a reason he has been first choice keeper for a year. And it’s not just because we sign utter dross as back-ups. In the back, Coleman, Distin, Jagielka and Baines. Again, there’s a reason these players are first choice. But John Stones is ready to play and if one of Distin or Jagielka still looks tired in training this week they can be replaced. 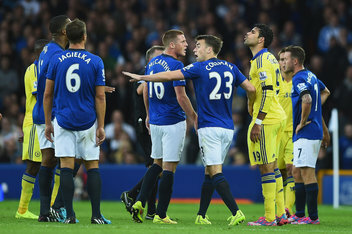 James McCarthy had his worst game in an Everton shirt against Chelsea. He couldn’t deal with the roving Chelsea midfielders, especially Hazard. This is the point where Gareth Barry, who I thought was indomitable on the left side (how many times was Leighton Baines left isolated? Not many) needs to put an arm around his younger teammate and help him move on. After all Barry wasn’t particularly great against Arsenal and he bounced back. If one of them lets their form slip the outrageous backheeling machine, Mo Besic, can stand in. In front of them this week will most likely be Mirallas, Naismith and McGeady in for Osman. The first game after the international break is a second beginning for teams that have not started well. Both sides playing it out at the Hawthorns will be desperate to make it count, but the side with the higher standards needs to live up to them. This is where the season needs to kick off. Nervous? Good. This is life the Evertonian leads now. If all goes well we’ll feel much better about ourselves on Saturday night.